Okay, maybe I don’t have self-control. Haha. Trickster’s Choice by Tamora Pierce (Booksale) – I loved Tamora Pierce’s Alanna series, but I really have little idea of her other books in the same universe. 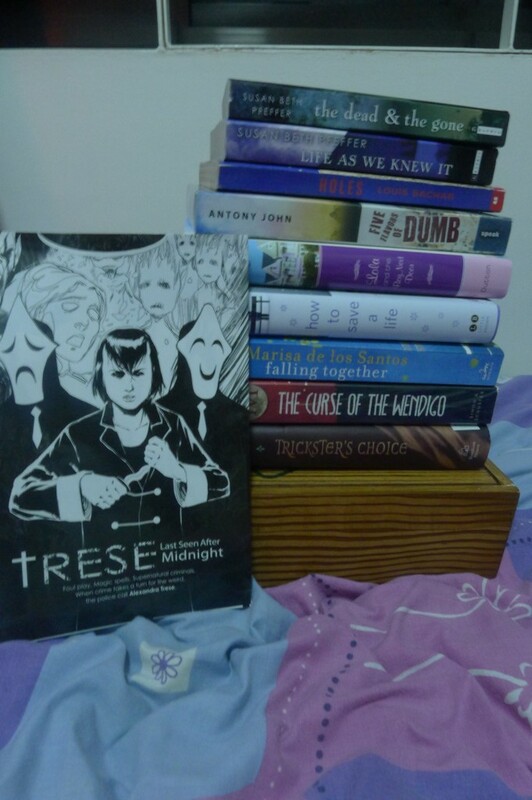 Aaron pointed out Trickster’s choice to me while we were in Booksale, and I saw it was the first book, and it was only P55 (a little over 1 USD). And it was hardbound. How can I resist? 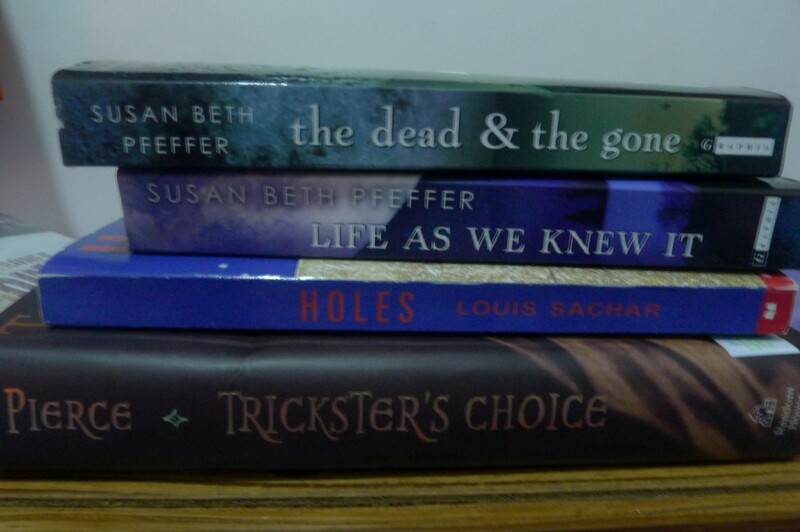 Holes by Louis Sachar (Booksale) – I figure it’s about time for me to read this, too. 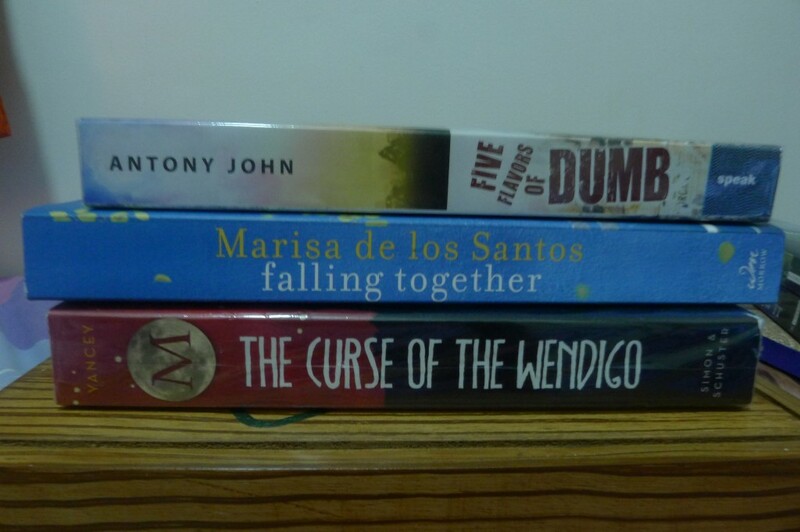 Falling Together by Marisa Delos Santos (Bestsellers) – So I was really planning to wait for someone to get me this book, after posting a Want Books post about it and learning that it’s quite expensive for a trade paperback book. But…it was on sale! And I’ve been itching to get it! And I’m weak! So yeah, I got it. Good thing it was 20% off. Still expensive, but not as expensive as it used to be. And it’s also a good thing I love the author. I have a feeling I will lose sleep for a few days over the fright level of this book (which is high, coming from friends who’ve read this. Add that to the fact that I’m a scaredy-cat…yeah, I’ll probably be sleeping with the lights on for a while after I read this)…but all the good reviews have been making me sort of…braver. Haha. Let’s see what happens. Thanks to Maria for lending me her copy. Wow great haul!! 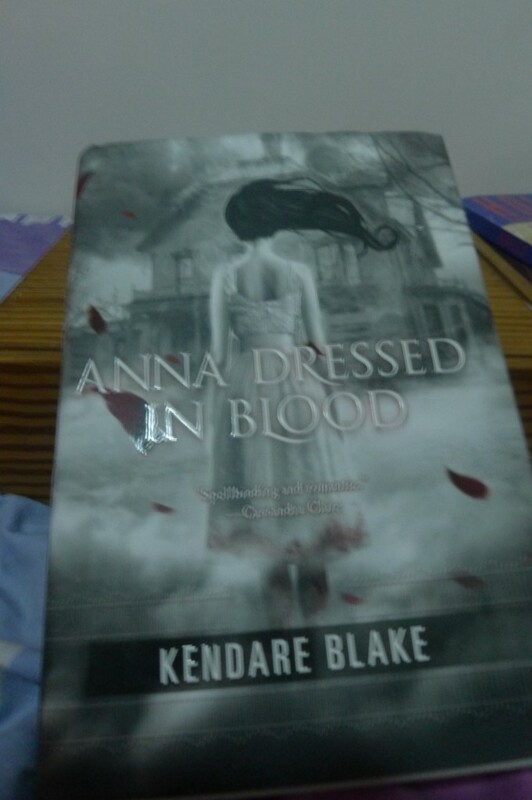 I Loved Anna Dressed in Blood I hope you do too! 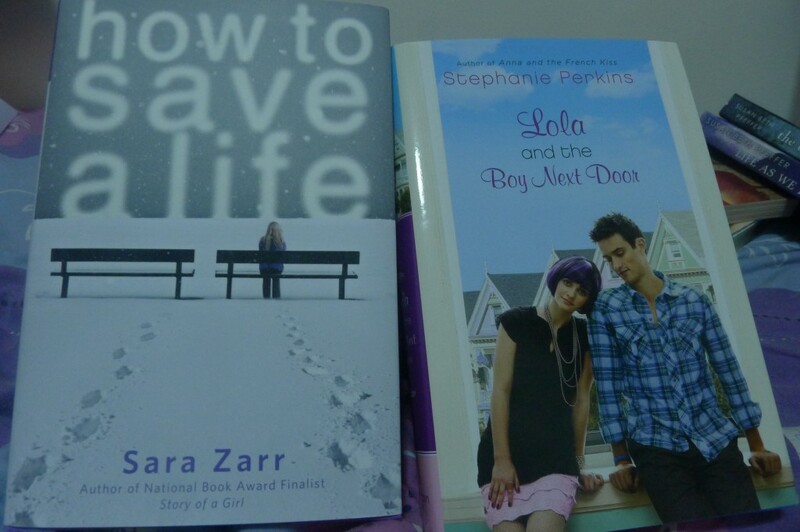 I also got Lola this week I can’t wait to get to it. 1) Dumb! You already know how I feel about Dumb. YAY DUMB. 2) I have Trickster’s Choice — haven’t read it (or ANY Tamora Pierce), let me know what you think! 3) Life As We Knew It — let me know how you liked this one. I DNF’d it for FYA’s book club last year, but I’ve heard it gets better after the first book. I loved the Alanna books too and was so excited when I found Trickster’s Choice. It’s been a several years since I’ve read it, so I don’t remember a lot of details, but did love getting to see Alanna from her daughter’s point of view. i love the photos you took.